Home Knowledge Centre Blog Workplace Culture Company Ethos How can employers support a positive work-life balance? 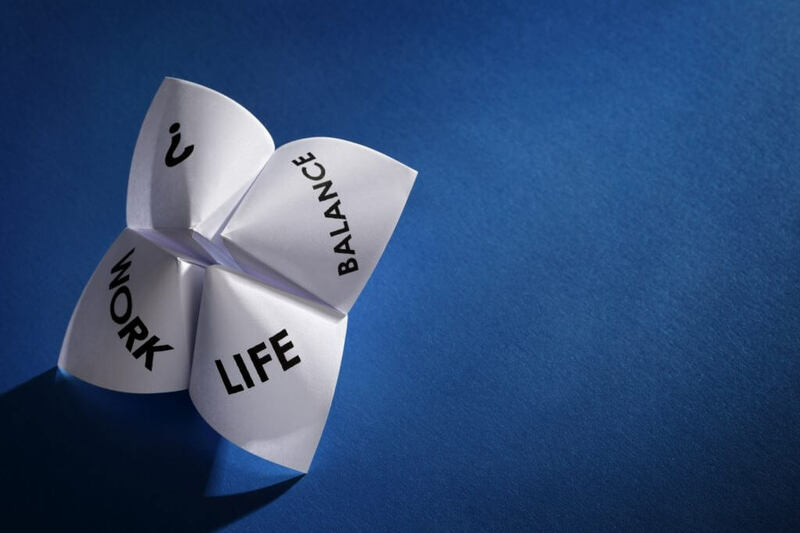 Employees who have a good work-life balance stay motivated about their job and they also have a higher engagement, increasing the likelihood that they will remain with the company for longer. A balance between life and work will bring you closer to overall employee satisfaction, which in turn will reduce employee turnover and reduce the costs of running your business. It is beneficial for both employees and the business if you support your staff with their work-life balance. There are a few ways in which you can support your staff with this. Firstly, flexible working can help employees balance their work with their personal responsibilities. Although employees are required to have 26 weeks’ continuous service to make a statutory request, you may want to consider opening up the procedure to all of your employees. Make sure employees are familiar with the procedure and rules around making a flexible working request. When you receive one, consider seriously whether you can accommodate it. If you are unable to approve it straightaway, consider inviting volunteers to come forward with the aim of rearranging shift patterns. If this fails, talk to the employee who has made the request and try to reach a solution. Having a trial period for a different working pattern may be more appropriate if they are looking for a temporary change. Sometimes, especially during busy periods, employees may feel stressed at work which will inevitably have an effect on their overall stress levels and lead to a negative impact on their life. Employers should promote stress and mental health awareness; this can be done by setting up an employee support programme to support employees if they are struggling to balance work and life stress. A programme like that can offer the support and advice staff need to get back on track. You should also monitor staff workloads and divide tasks fairly between colleagues to avoid some feeling more pressure than others. Another thing you can do is organise or encourage social events outside of work. These will offer the opportunity for staff to build better working relationships and will increase workplace morale. However, if these are held at the business premises, make sure everyone is aware that certain policies and rules (such as alcohol, drugs or violence policies) still apply and disciplinary action will follow any breach. Homeworking can be another method to ensure your employees can manage home and work commitments. This can be a powerful incentive to gain and retain valuable staff. When allowing staff to work from home, make sure that they clearly understand that they are expected to work for the same amount of time as they are expected – distractions at home will stunt their productivity and performance.